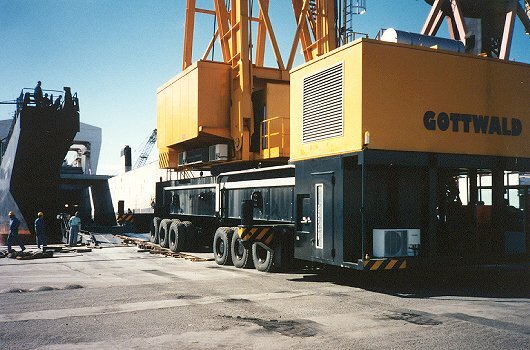 In May 1995, two Gottwald mobile harbor cranes were transported from Miami to Buenos Aires aboard the heavy-lift dockship STAKHANOVETS YERMOLENKO. The cranes (each weighing approx. 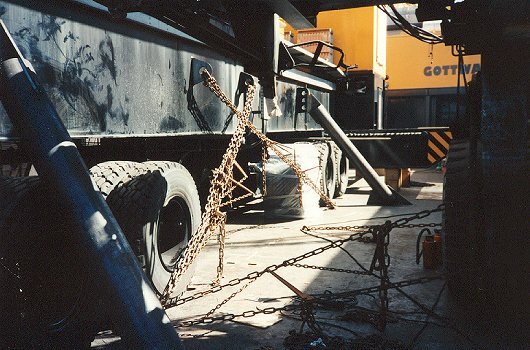 330 t) rolled onboard over the stern ramp under their own power and were secured to the deck with steel pipes welded to the deck. 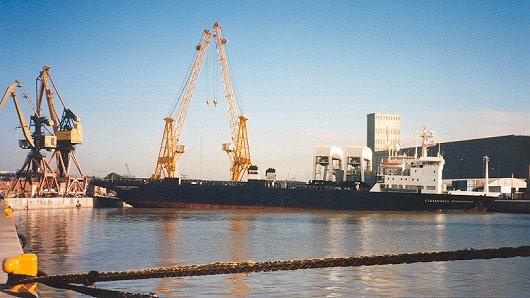 For the transport, the boom ends were lowered onto special supports, allowing for deflection of the ship hull in seaways. 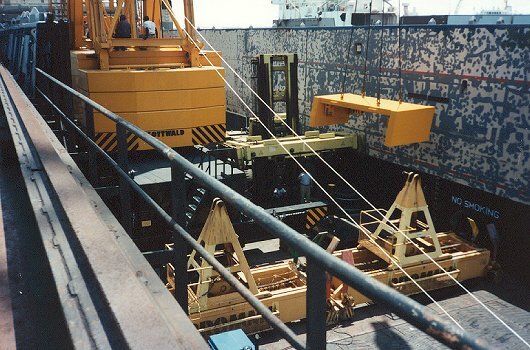 For the unloading the mobile cranes, the additional power of four tractors were needed in order to overcome the large slope caused by the ship's excessive trim, required to reach the high quay. See photograph below. 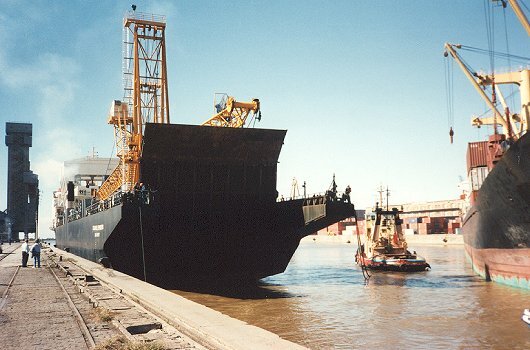 ■ Supervision of offloading operation upon arrival of the ship in Buenos Aires, Argentinia.